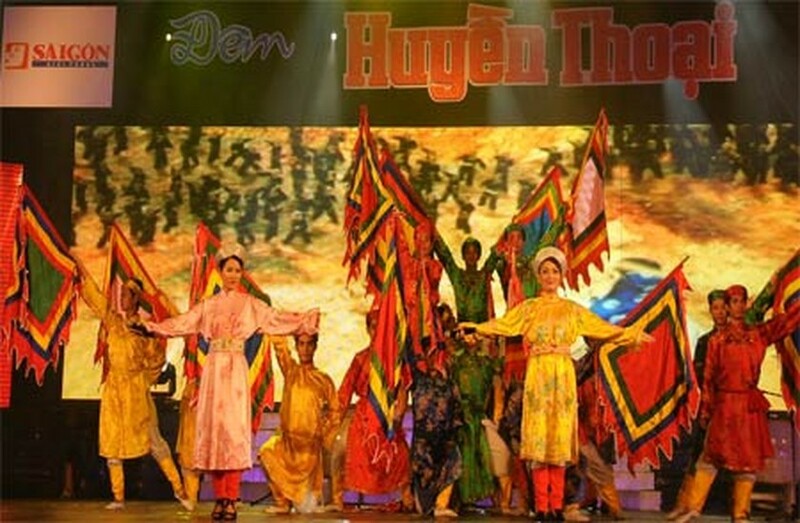 The opening of the 4-night Dem Huyen Thoai (Legend Night) gala marked the 35th anniversary of Sai Gon Giai Phong (Saigon Liberation) newspaper with a series of musical and artistic performances on May Day. Through song and dance, the gala in Ho Chi Minh City tells the stories of Vietnam’s numerous wars of national defense, from early battles against northern invaders to the anti-colonial and imperialist wars against the French and Americans. 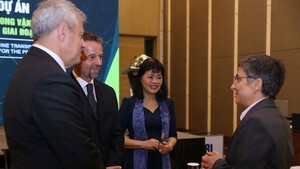 Over 300 singers, models and dancers are performing at the gala, which will play through May 4 at the Hoa Binh Theatre in District 10, Ho Chi Minh City. Sai Gon Giai Phong was first published on May 5, 1975.